Rafael joined Summit Wealth Management in 2015 after 14 years with Wells Fargo Bank. He began his career in the Online Banking Group where he worked with Small Business Online customers and managed a bill payment research team. In 2006, Rafael was promoted to the Risk Management Group where he managed a team of phone representatives assisting victims of online financial crimes with the recovery of their funds. 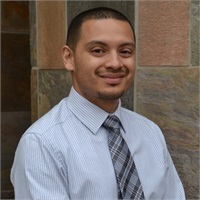 Then, in 2007 Rafael joined the Investment Group at Wells Fargo Investments where he gained his first experience in the investment management industry. Most recently he worked exclusively for The Private Bank at Wells Fargo where he assisted clients with money movement and trade orders. Additional responsibilities included client escalations and any subsequent research and correspondence required. His diverse background allows him to bring a unique approach to working with clients. His new responsibilities are to oversee client relations, trading, and operations at Summit Wealth Management. His dedication to the client experience and his desire to grow personally will make him a valuable addition to the Summit team. Rafael lives in Vallejo with his wife Cheryl and their three children.